If you’re looking for one of the best Memorial Day getaways in Texas Hill Country, put the Fredericksburg Crawfish Festival on your bucket list. 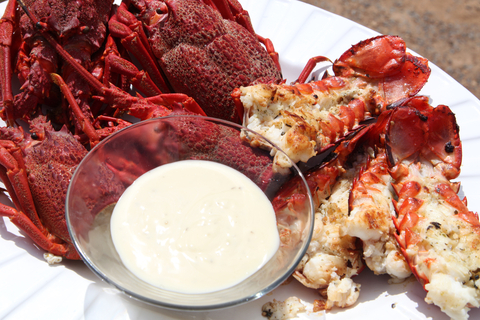 There is no better time to eat crawfish than May – it’s no Texas tale that they’re at their tasty best in the spring! The Festival will be serving up those sweet mud-bugs, plus gumbo, shrimp, boudin, and red beans and rice, and other Cajun favorites to enjoy. It’s a perfect patriotic tribute to one of the Gulf Coast’s best loved native foods. There’ll be food and fun for everyone, from crawfish races to all kinds of arts and crafts for sale by regional artisans. The good times won’t roll without great live music, so the Crawfish Festival has plenty of entertainment planned for Memorial Day Weekend in Fredericksburg. Friday night’s headliner is Kyle Park, Saturday night you’ll be treated to the music of Kevin Fowler, and Gator Country will be back by popular demand all three days of the Festival. Bayou Roux will entertain festival goers all three days; on Friday and Saturday listen to Zydeco Blanco and Fred Rusk and the Zydeco High Steppers as well. Sunday afternoon, Fred Rusk and the Zydeco High Steppers will alternate sets with Bayou Roux. For additional information about the Festival, visit their website or Facebook page. When you’ve had your fill of crawdad fun, you’ll find plenty of other Hill Country attractions nearby, from Fredericksburg’s Pacific War Museum to local wineries. Don’t forget there are plenty of hiking trails nearby to burn off those Cajun calories! The Fredericksburg Jaycees Crawfish Festival is one of the Hill Country’s most popular events, so don’t wait to reserve your stay with us at the Wine Country Cottages. You’ll be just three blocks away from the Festival in Market Square. If the weekend means a get together with family or friends, choose our Wine Country Farmhouse, with its old fashioned charm and separate suites. At either the Cottages or the Farmhouse, you’ll enjoy some of the best bed and breakfast accommodations in the Texas Hill Country. This entry was posted in Events, Food & drink, Holidays, Uncategorized and tagged Fredericksbirg TX Memorial Day Festival, Fredericksburg Crawfish Festival, Fredericksburg TX festival, Memorial Day Weekend Festival, Texas Hill Country food festival by admin. Bookmark the permalink.